The Guide mode feature on your Nikon D3100 DSLR makes it easy to play around with depth of field and motion blur, enabling you to adjust the amount of background blurring. Guide mode also lets you use a slow shutter speed to intentionally blur a moving object, which can create a heightened sense of motion. Set the Mode dial to Guide. Highlight Shoot and press OK. Highlight Advanced Operation and press OK. Soften Backgrounds: Select this option to create a short depth of field, meaning that your subject will be in sharp focus but objects at a distance will appear blurry. Bring More into Focus: Select this option for any shot where you want a large depth of field so that both foreground and background objects appear sharp. Freeze Motion (People): Choose this setting to capture any subject moving at a moderate pace. 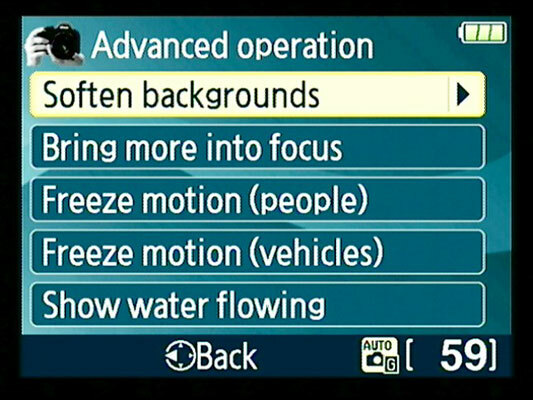 Freeze Motion (Vehicles): Select this option for any fast-moving subject. Show Water Flowing: Choose this option to get help setting the camera to blur motion. Using a tripod is a must when you use a slow shutter speed. Otherwise, camera shake can blur the whole picture, not just the moving objects. Remember to turn off Vibration Reduction when you use a tripod (and no, enabling that feature won’t be enough to ensure a shake-free shot at shutter speeds slow enough to blur water). Highlight the creative effect you want to try and press OK.
After reading the information screen, press OK.
You see a screen where you can see the current f-stop or shutter speed value, depending on the effect you selected. Press the Multi Selector up or down to change the f-stop or shutter speed value. The preview screen also shows you the shutter speed the camera has selected to go with your f-stop setting. Or, if you’re using one of the freeze/blur motion options, the screen displays the f-stop the camera needs to use to expose the picture at the shutter speed you select. 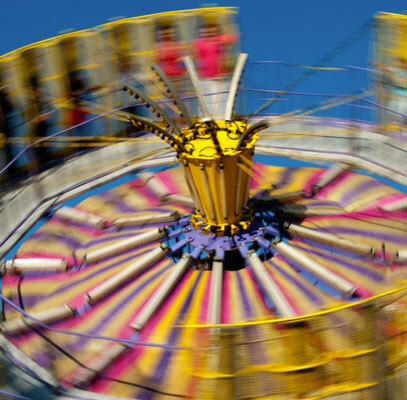 Either way, keep an eye on that shutter speed and remember to use a tripod for slow speeds. If you’re ready to take the picture, choose Start Shooting and press OK.